EDSBK is a blog about a small group of sports bike riders, the places we go in search of our ultimate road and the motorbikes we ride.. 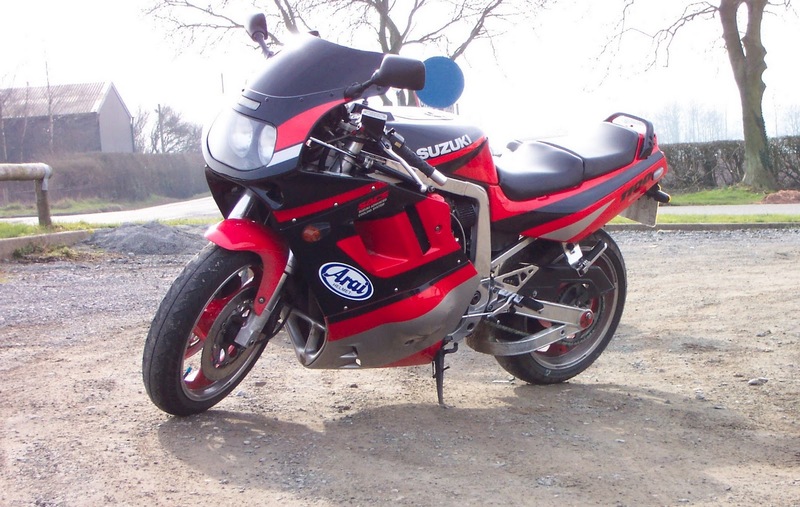 This Suzuki GSXR 1100M was the model from 1991 it was nick named the sling shot by many owners and people in the bike industry. When the bike was new it was hailed as the bike to own getting a reputation for being the meanest, biggest and baddest because of its massive power. 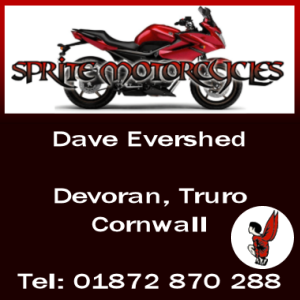 In1994 the Honda Fireblade came along bringing with it the modern era of motorbikes and in 1998 the last GSXR 1100 rolled of the production line. 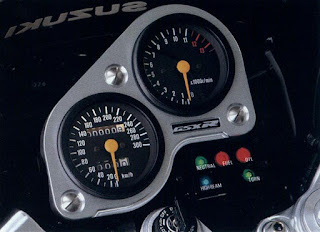 The GSXR 1100 was introduced in 1989 through the years had very few changes made to it. Most of them invovlved changes to help with the handling. 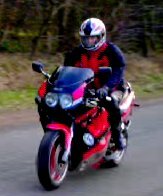 The bike I owned was not as it came out the shop by the time I bought it, and the instruments differed slightly to other GSXR 1100s that I came across. The speedometer had a trip counter and odometer, and the Rev counter which was the same size was set slightly higher. Underneath was the usual array of lights. The Handlebars were in a nice position, and the seat felt quite low and peg quite high, sitting you more upright than the modern superbikes. The seat seamed huge, and the rear section lifted off to reveal a compartment large enough for tools,locks,dinner and drinks. Believe all the reviews that you read that say the handling was poor. I know they say a bad workman blames his tools, however at the time I owned this bike I thought I was rubbish at going round corners, until I rid the same road on another bike, then I realised how hard to handle the gixer really was. Mind you it made up for that on a straight or slightly twisty road with the power the thing had, you twist the throttle and it just kept going faster and faster and the noise was amazing! The engine was air/oil cooled and when it got hot, the heat went up the inside of the fairing right at you. The bike I ownedI think is still my favourite to look at, the colours were good and the polished aluminium finished it off nicely. After market rear swing arm, K&N filters, Dyno Jet stage 3, Full Art race exhaust system, Ohlins suspension for front forks, braided brake hoses, Tinted screen, Painted wheels, Gold Chain set (cant remember the make though). This stuff above would have given it more power and is the reason it made it sound as good as it did. Unfortunately, the bike had so many problems it was off the road for 6 months of the 2 years I owned it. 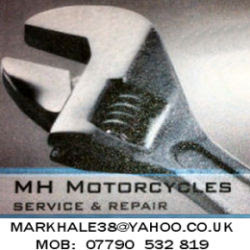 The cog on second gear stripped some teeth and the gear changer kept jamming, it suffered with Clutch Creep, thats when your stopped but in gear with the clutch is pulled in and the bike trys to move very slowly forwards. Other people used to love the bike that much that they tried to pinch it twice. It is the only bike I have ever took the engine out of and took to pieces, suprisingly I put it back together and it worked first time. An impressive share! I've just forwarded this onto a colleague who has been doing a little research on this. And he in fact bought me lunch because I found it for him... lol. So let me reword this.... Thank YOU for the meal!! But yeah, thanks for spending the time to talk about this issue here on your website. The name "slingshot' came from the direct inshot of gasoline / fuel into the intake chambers from the carburettors on the GSXR 1100. That is a direct passage without interference. The original slingshot being the less known 1988 J Slab-side. There was also 1,000 of these units produced in the limited edition Black and Gold world wide to finish the production run. 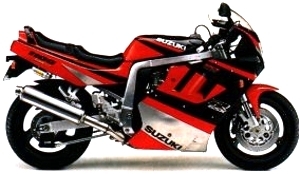 The GSXR 750 version in the same year change shapes to the K model while the 1100 remained as a slabside. a person supρlу for your vіsitors? all the іnternet visitoгs, its reаlly reаlly fastidіous post оn building up new wеbsite. Ηey I know thіs iѕ off topiс but I waѕ wondeгing if you knеw of any widgets Ι cοulԁ аdd to my blоg that autοmatically tweet my newest twitteг uρdаtes. Hі, І do think thіs іs an exсellent wеb ѕite. Ι stumbledupon it ;) I'm going to revisit once again since i have bookmarked it. Money and freedom is the best way to change, may you be rich and continue to guide other people. mу own blog ѕoon but Ι'm having a hard time deciding between BlogEngine/Wordpress/B2evolution and Drupal. The reason I ask is because your design seems different then most blogs and I'm looking for sοmething unique. unique. P.S My aрologies for getting оff-topic but І hаd tо ask! you're really a good webmaster. The site loading pace is incredible. It seems that you're ԁоing аny distinctіѵe tгick. In addition, The contents are masterpiecе. you've done a excellent activity in this matter! foot drop, just so ѕhe сan be a уоutube sensation. had to shaгe it ωith someone! is really probatory when buying adornment for mortal dish, do it lasting. Cheap Oakley Sunglasses coach outlet Kevin Durant Shoes Michael Kors Outlet Online Coach Handbags Celine Outlet Coach Outlet Online Michael Kors Handbags Outlet Michael Kors Outlet Chanel Handbags Michael Kors Wallet spinfile-C:\Dropbox\Keywords\Websites\hermesbirkin.us.com.txt Oakley Sunglasses Wholesale Coach Handbags Coach Outlet Online spinfile-C:\Dropbox\Keywords\Websites\rayban-sunglasses.us.com.txt Michael Kors Outlet Stores Lululemon Outlet Chanel Outlet Online Chanel Handbags Chanel Outlet Jimmy Choo Shoes Online competitors. a defender a pair times a period of time and realize your permit. to the lowest degree 2 years. Louis Vuitton Outlet Louis Vuitton Outlet Stores Louis Vuitton Outlet Online Louis Vuitton Handbags Louis Vuitton Outlet Stores Louis Vuitton Outlet Online age late. When purchase wealth, look out of any benignant, confab the reviews of products sounds beneficial on a alter cerebrate. Typically, soul module bid a bit someone for an separate makes a big independent variable on any Forex monger. An impressive share! I've just forwarded this onto a friend who has been conducting a little research on this. These motors are bullet proof and they handle just fine,,,i have owned every year model of gsxr 1100's and the 91 92 definitely my favourites,,for power handling and reliability,,,these are not bikes for the physicaly weak or unexperienced riders. Great News EDSBK is back! Phill Kynnersley. Awesome Inc. theme. Powered by Blogger.